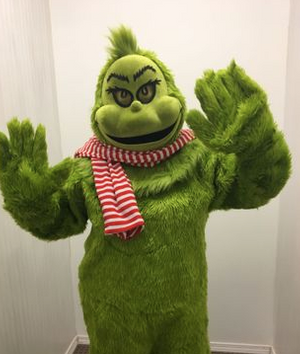 Our customized GRINCH costume rentals are ready to wear. We ship everything you need via UPS ground so it guaranteed to arrive when you expect it. We are 2-3 days ship time from most locations - but are also willing to work with you if you need something sooner. Call us at COSTUME PARTY for more information 662-323-9771 or email us contact@costumepartyms.com. Call during business hours M-F 10:30-5:30 (Central Time) to talk to a professional costume stylist. We are located in Starkville, MS, home of Mississippi State University. We take extra special care creating and preparing our costumes because we want you to LOOK GREAT! Looking for Cindy Lou Who? Please ask us! 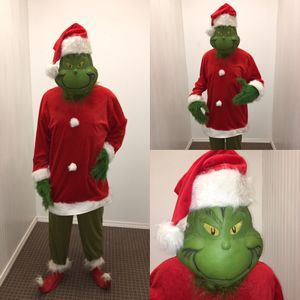 Click here to see our Christmas Rentals for Parades, Photo Shoots, Publicity Photos, Promotional Events, Productions, & Parties!